It’s funny how quickly things that once seemed revolutionary can become the norm.  Created by Farr Yacht Design and BMW Group DesignworksUSA, the Bavaria Cruiser 36 comes standard with an in-mast furling main, fixed hull ports to help light the interior and a sturdy drop-down swim transom. It’s funny how quickly things that once seemed revolutionary can become the norm. 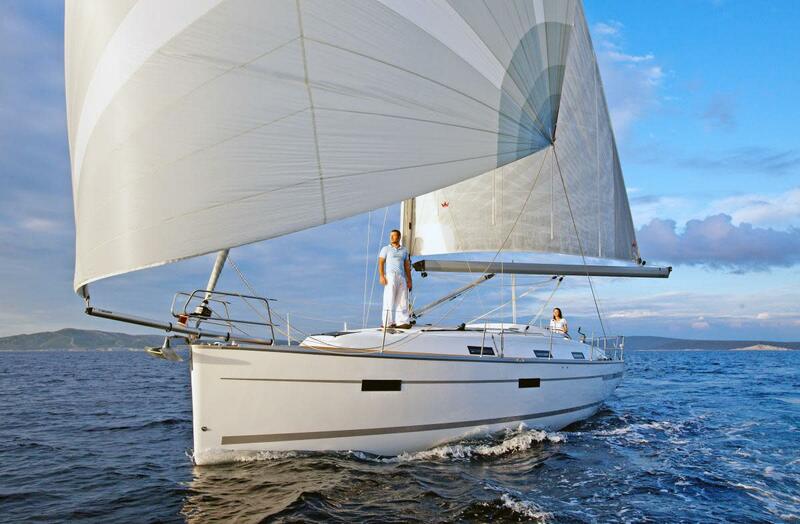 Created by Farr Yacht Design and BMW Group DesignworksUSA, the Bavaria Cruiser 36 comes standard with an in-mast furling main, fixed hull ports to help light the interior and a sturdy drop-down swim transom. 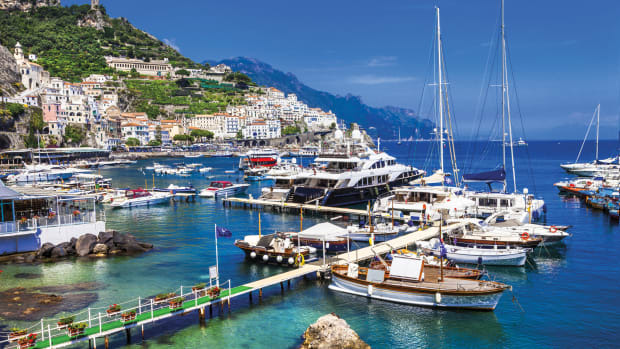 It seems like only yesterday that the latter feature, in particular, was the latest thing on the boat-show circuit. Fixed swim-steps now seem downright quaint by comparison. A product of the large and highly efficient Bavaria Yachtbau factory in Giebelstadt, Germany, the 36’s hull is comprised of E-glass with an Airex PVC foam core in the topsides. It includes a substantial fiberglass grid, which is attached with adhesives and is also held in place by the boat’s keel bolts. The deck and cabinhouse molding is cored with Airex foam and incorporates a partial grid structure to stiffen the cabintop. There is a sturdy aluminum toerail, with cutouts for chocks near the impressive heavy-duty mooring cleats. The double-spreader deck-stepped rig is supported with conventional wire rigging. The boat comes standard with a cast-iron shoal draft keel drawing 6ft 5in; a 5ft 4in draft shoal keel is also available. A boat like this is all about the cockpit and, by extension, the drop-down “bathing platform.” In addition to being absolutely huge for a boat this size—spanning over half the width of the boat’s transom—this platform is supported by a pair of gas shocks and has a robust tackle to take the drama out of raising and lowering it. The outboard edge of the platform does double duty as a helm seat when raised. The cockpit itself features a pair of long, comfortable bench seats with plenty of room for stretching out. In contrast to many cruising boats, the side decks on the Bavaria Cruiser 36 extend all the way aft, from the stem to the transom. This feature has a downside in that it takes away space from the cockpit; for example, in the case of the 36 it’s a bit tight between the cockpit seats and the large wheel and folding cockpit table. Nonetheless, it’s nice to have a secure workspace for doing things like throwing and catching dock lines. I’m also glad Bavaria went with a good-size wheel that allows you to steer from well outboard. Chainplates are outboard, and the combination of stainless steel handrails on the cabintop, double lifelines, the aluminum toerail and excellent nonskid provide a safe, easy passageway forward. Bavaria and Farr Yacht Design make no secret about the fact that the boats comprising the Bavaria Cruiser line are beamy, with that beam carried forward as well as aft in the interest of maximizing accommodation space. 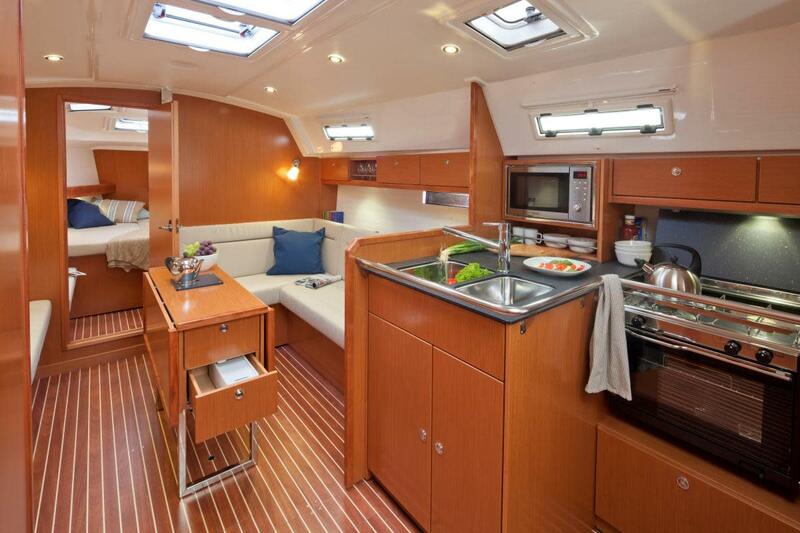 The Bavaria 36 also has 6ft 3in of headroom in the saloon—very impressive for a 36-footer. You can specify a two- or three-cabin layout. The two-cabin version has a dedicated nav station, with the head pushed a short distance aft into what is the port quarter cabin in the three-cabin version. The three-cabin version includes a foldout nav table and a removable section in the port settee, which serves as a seat. There is plenty of natural light in the saloon, thanks to the many overhead hatches and portlights. A number of different trim and sole veneers are available, including mahogany, oak and walnut. The L-shaped galley comes with a pair of sinks near the centerline; these can be easily converted to counter space using a pair of covers. The stainless fiddle rail will keep larger items off the sole and also serves as an excellent handrail, but I worry about smaller items, like silverware, slipping through. The berth in the forward cabin is a bit narrow in terms of legroom for a 6-footer like me, but will be great for a kid or two. The aft doubles are a good 6ft 8in long and will make a nice place to stretch out with plenty of ventilation. In all the cabins, hull ports provide additional light. 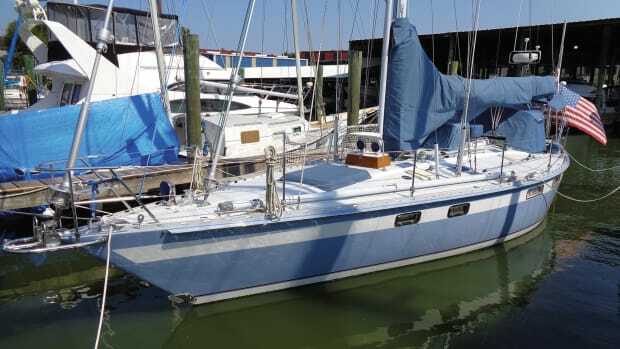 Despite its substantial beam and its in-mast furling mainsail, our test boat did a great job ghosting about on a light-air day on the Chesapeake Bay. In a true wind blowing 5 knots, the 36 glided along on a close reach at a pleasant 3.2 knots. 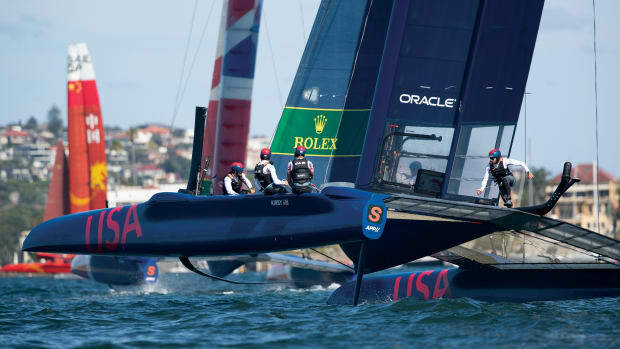 With the wind edging just over 9 knots, we managed a little over 4 knots of boat speed. 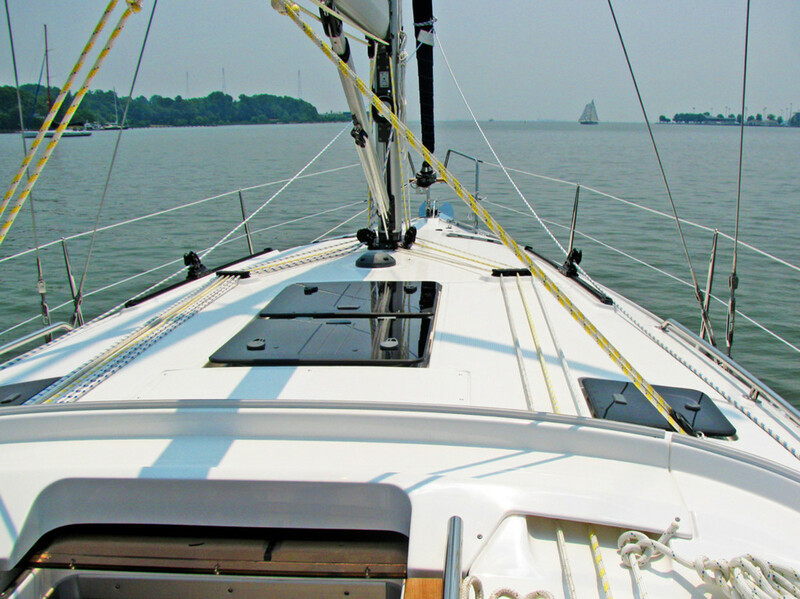 In-mast furling comes standard with the boat, but I would strongly suggest resisting the siren call of convenience in favor of the added performance that will come with a conventional slab-reefing main. I’m sure Bavaria will gladly oblige you. 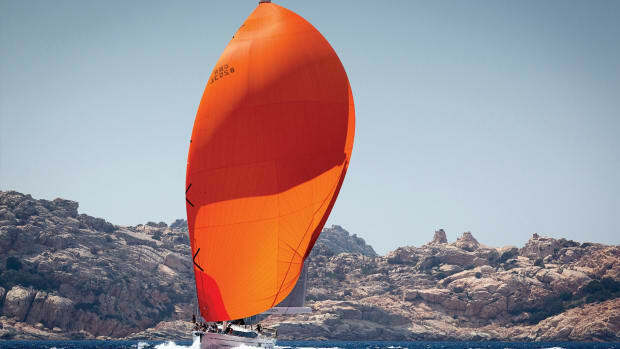 The rig is slightly fractional to accommodate a large reaching sail; a sprit is optional. 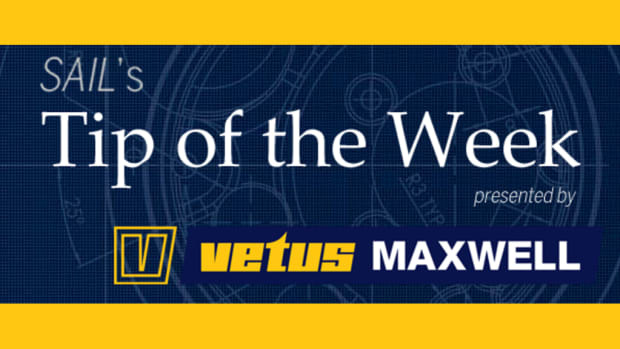 There is a pair of Lewmar sheet winches within easy reach of the helm and another pair of Lewmars flanking the companionway to deal with halyards and control lines. The blade jib is easy to tack, and the main is controlled with a double mainsheet system that forgoes a conventional sheet and traveler arrangement. It takes a little getting used to, but works well with practice. 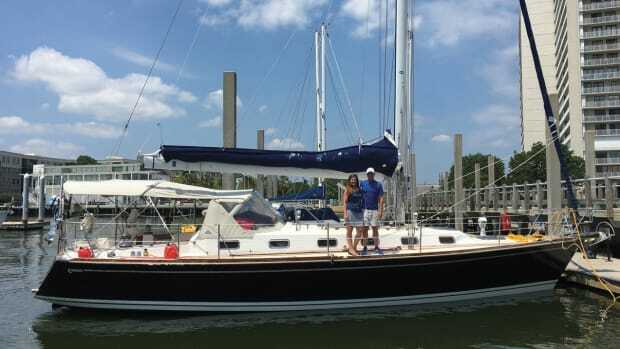 The Cruiser 36 performed ably under power, behaving predictably in both forward and reverse. In flat water, the 27hp Volvo-Penta with saildrive pushed the boat along at 3.6 knots at 1,400 rpm, 5.6 knots at 2,000rpm, and 7.2 knots at 3,000 rpm. Slow speed maneuvering was no problem, and we were able to make our way into an incredibly tight marina and slip at the end of our sail with no problem. A bow thruster is an option, but is hardly necessary. Conclusion Some may decry the continuing trend toward beamy boats, but at the end of a long day&apos;s sail, it’s nice to have those accommodations. 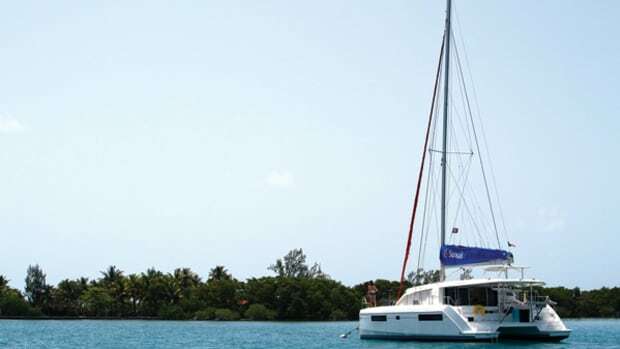 The Bavaria Cruiser 36 provides a well-thought-out combination of performance and living space for a wide range of needs afloat.